Mentioned during Microsoft Ignite 2017, there is a new search functionality in place within Exchange Online. Not all mailboxes are able to make use of the new functionality, such as hit highlighting and search results being shown in-line with the results highlighted in context with the results. The reason that the functionality is not available is that the feature has not been rolled out to all mailboxes in the service. At Microsoft Ignite, a percentage of enabled mailboxes was announced, and of course this will change over time. So how can you tell if the functionality is enabled on your mailboxes. 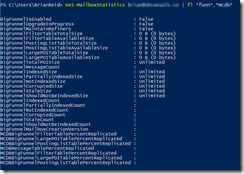 The answer is to use Get-MailboxStatistics via Exchange Online Remote PowerShell. 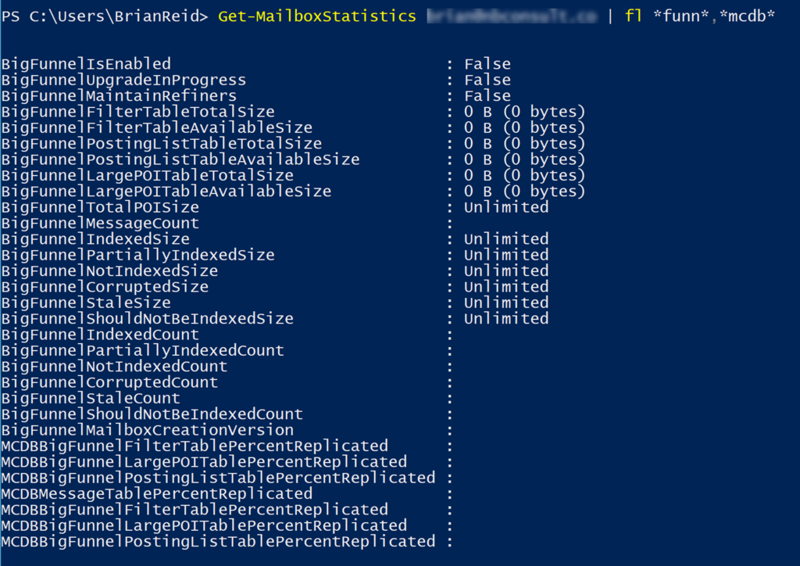 The Get-MailboxStatistics cmdlet returns two sets of values, one starting with BigFunnel, which is the new search functionality code name and also values returned starting MCDB, which is the new MetaCache Database feature also announced at Microsoft Ignite. In the above BigFunnelIsEnabled shows if the feature is on, and then the rest of the values will contain information such as the size of the index within the mailbox (as the index is stored within the mailbox and not separate as it is with Exchange Server 2013/2016 and how it was in Exchange Online before this feature). The MetaCache Database is SSD based storage within Exchange Online and where the index s read from – so the MCDB* results show things like the replication status of the database across the servers in Exchange Online.